Richard Pitt obtained his Freedom in 1747 from his apprenticeship to William Charsley, who was also an Exporter to the Colonies. 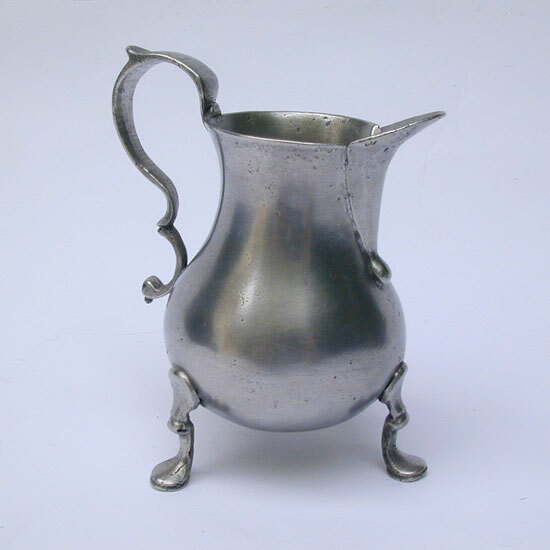 This style of cream or milk pot is of a style that developed in the mid part of the 18th century. 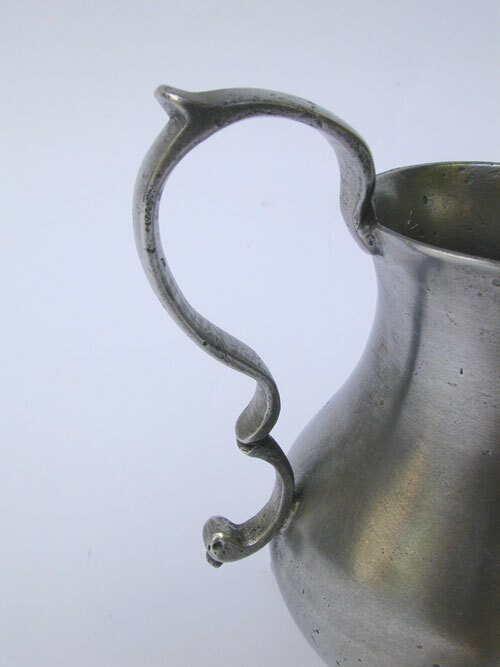 Spouts on this type of creamer are a separate part that was attached to the body. 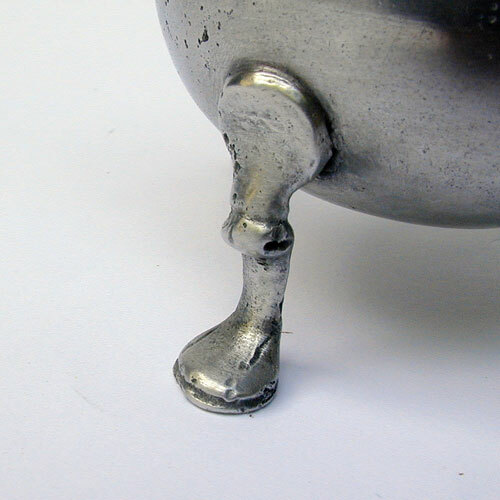 Later design cream pots had the spout as an integral part of the whole upper body. Pitt must have enjoyed a rather lucrative Export trade as several varieties of cream pots as well as teapots of various styles are know. There are tea caddies as well. 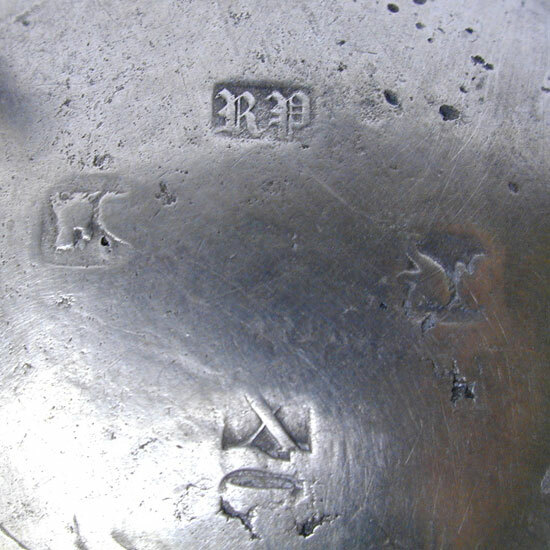 Tankards have also been found. This cream pot is in very good to fine condition with fine touches struck on the outside bottom. 4� tall to the very top of the handle.